Tastefully decorated, well equipped, ThistleDoMe is the perfect base to discover Orkney, where we welcome short break to long stays. Our accommodation is located in a quiet residential area of Kirkwall. The town centre is around 15 minutes walk, where you will find attractions such as St Magnus Cathedral, independent retailers, museums and restaurants. Also a short distance away are the Pickaquoy Leisure Centre, Highland Park Distillery and quiet beaches. Most of Orkney mainland beauty spots and attractions are only half an hour car journey away. The accommodation comprises two bedrooms, one double, one twin, both rooms have fitted wardrobes. The living room is spacious with corner suite, chairs, TV and DVD player and the large kitchen/dining area includes washing machine, dishwasher, cooker, microwave, fridge/freezer, kettle, toaster and radio. The bathroom has a shower over bath. Air source heating. Bed linen, towels, WiFi and electricity included. - Patio area for outdoor dining with table, chairs and BBQ. - Shed for storage of outdoor activity equipment such as bikes and fishing rods. "What a fab house this is very cosy and everything you need. Will def return here again when next visiting family"
"Lovely accommodation, very cosy and comfortable. 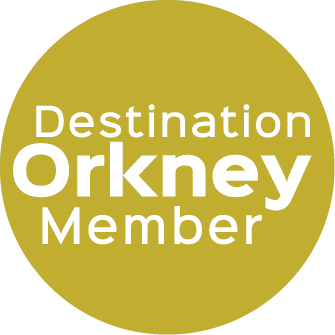 We have really enjoyed our time in Orkney and loved staying at 16a"
"A very comfortable and well equipped base from which to explore and discover these fascinating islands. Thank you"
If have any questions about the accommodation please feel free to ask. A non-refundable deposit of £100 is required on booking with the balance required 4 weeks prior to arrival. Payment by either cheque or BACS transfer.